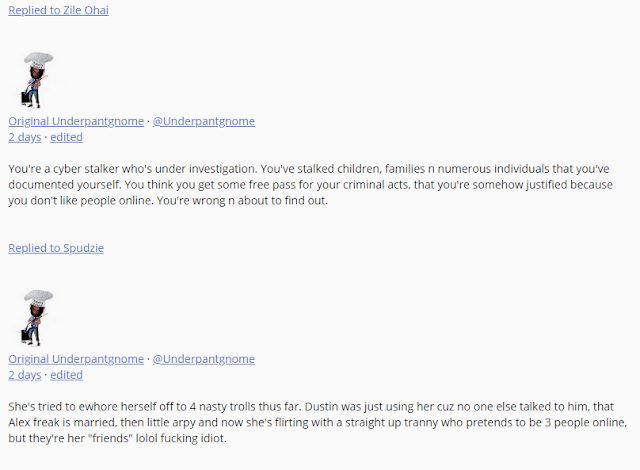 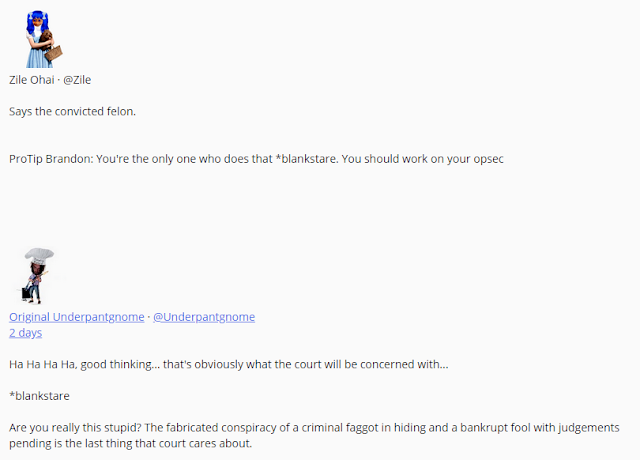 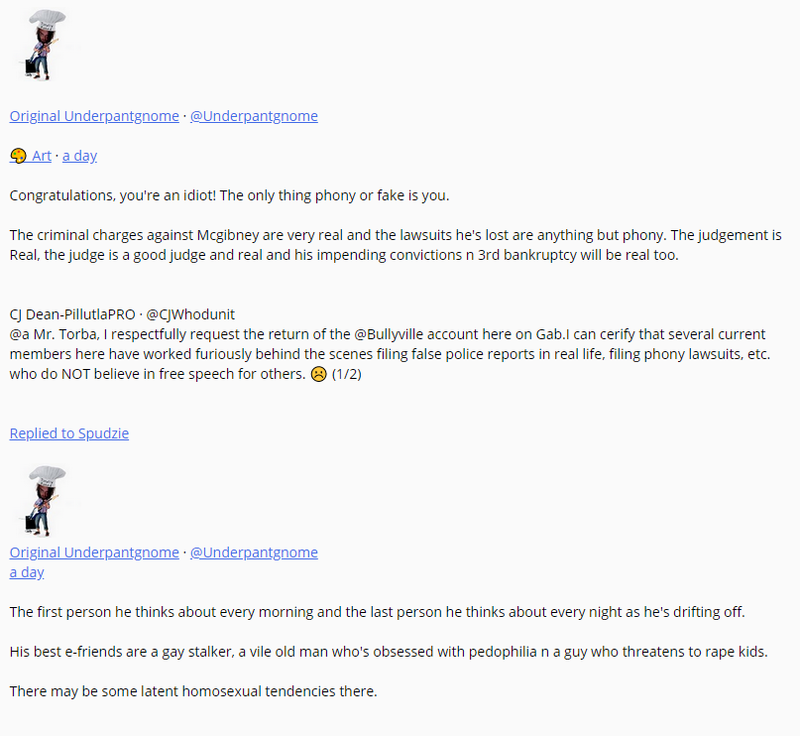 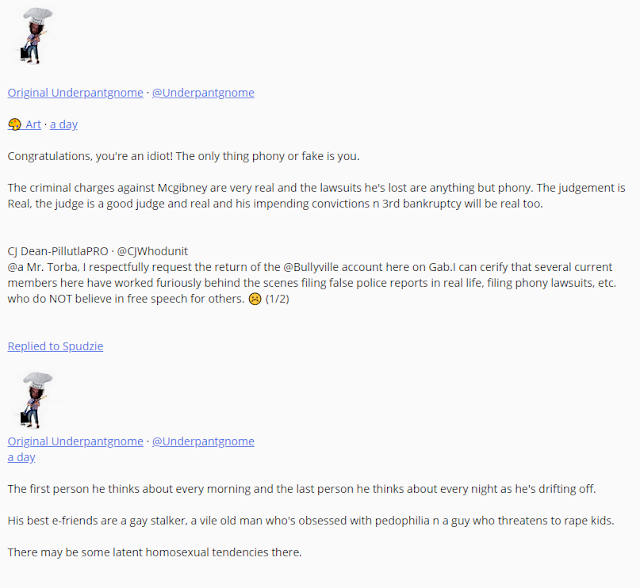 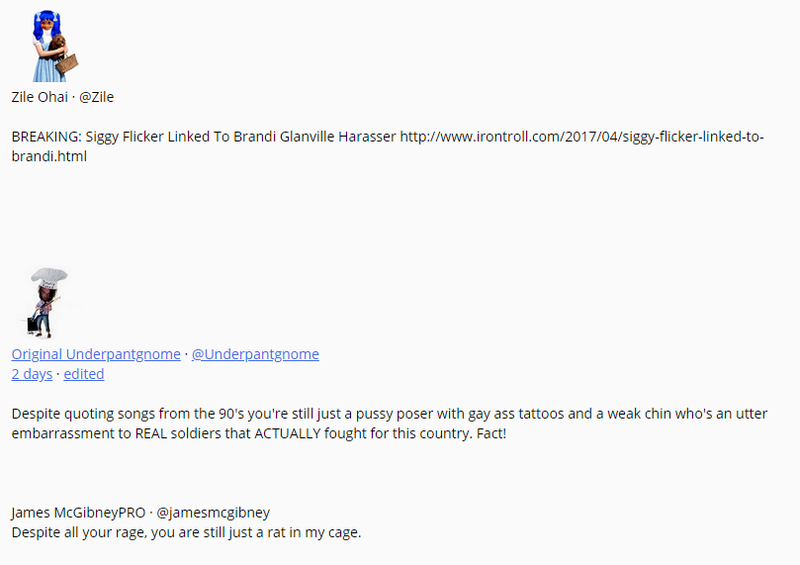 Below are posts made on Gab.ai that were copied from an account created by Brandon King, infamous troll and tool. 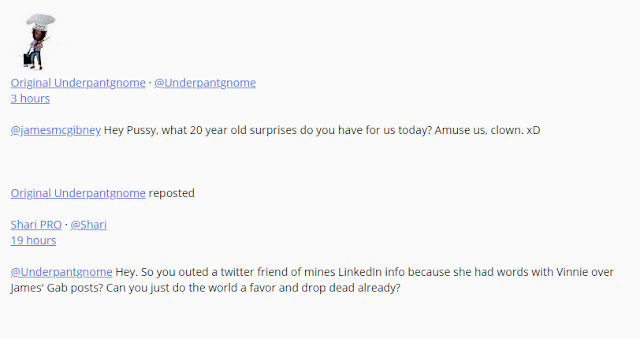 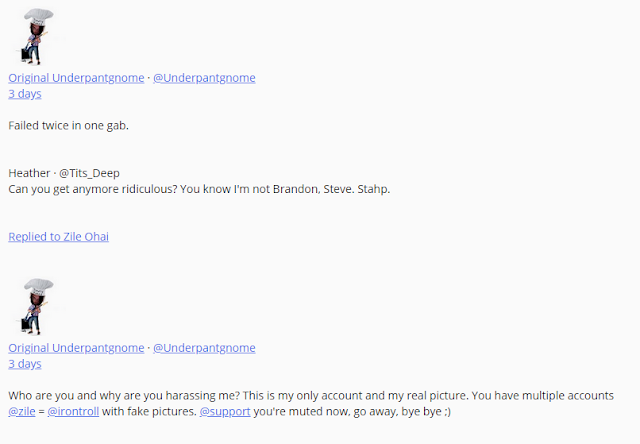 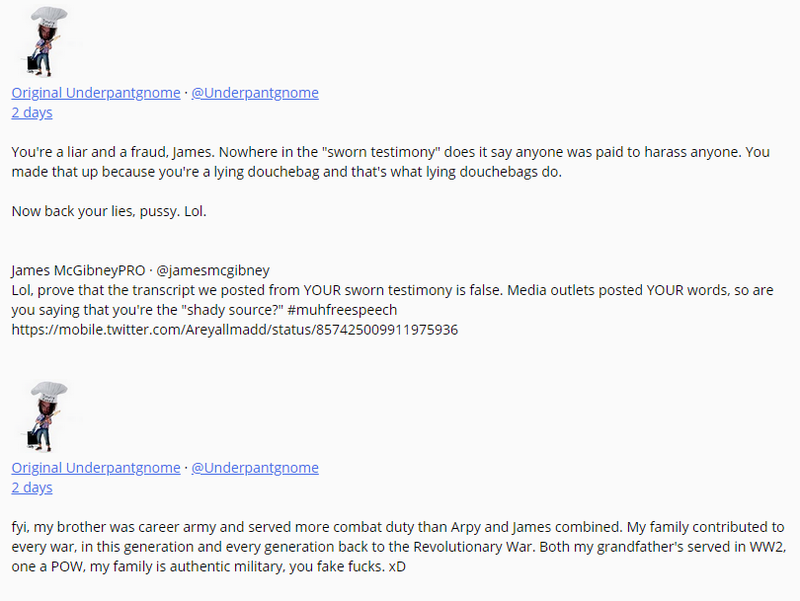 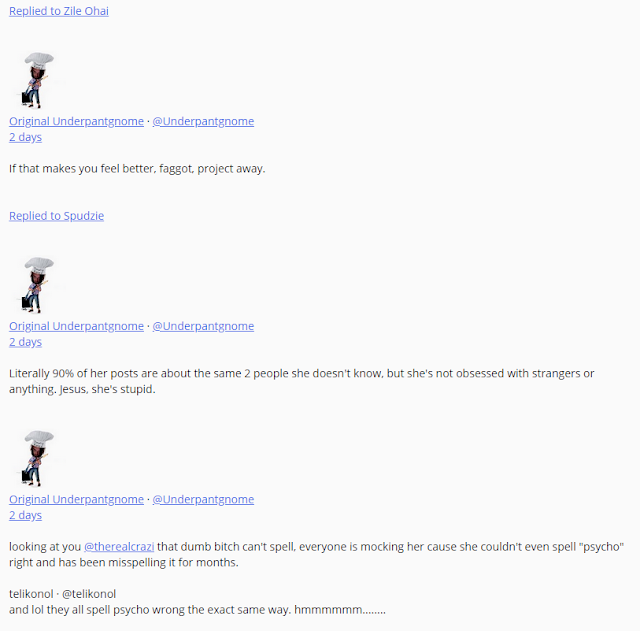 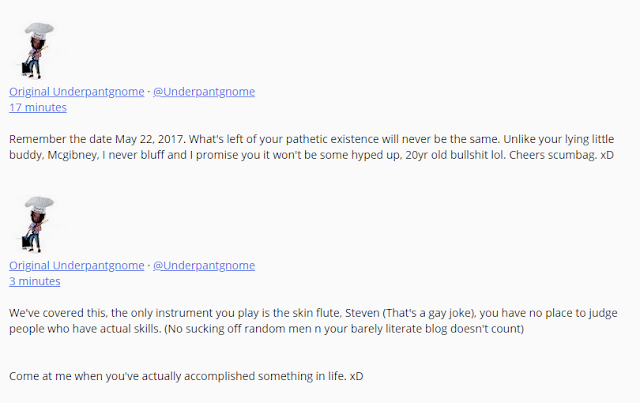 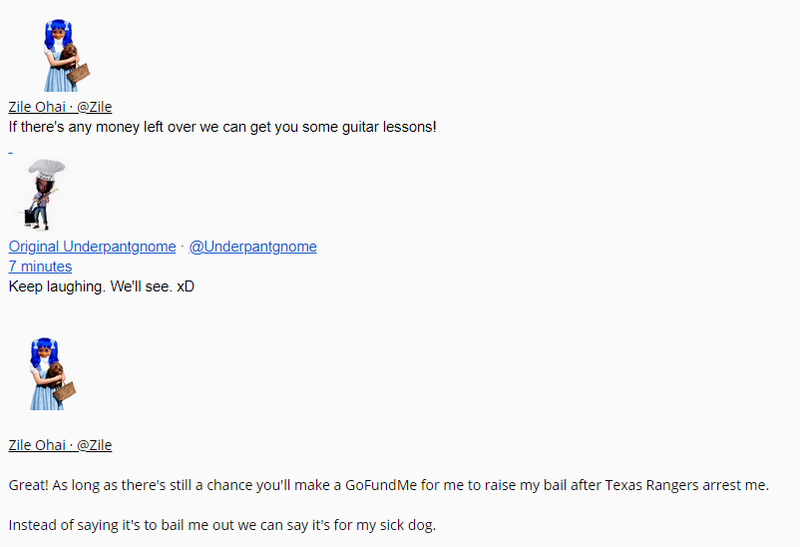 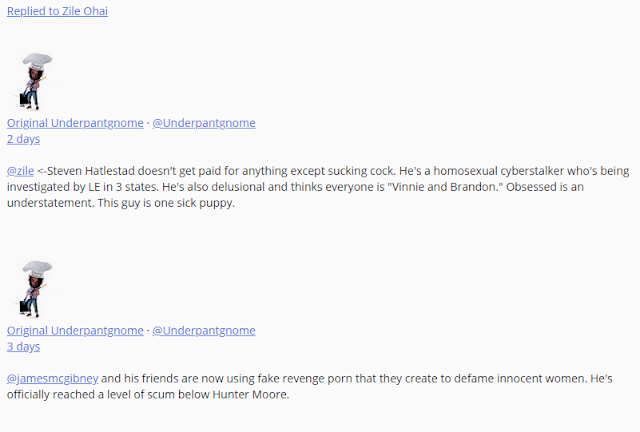 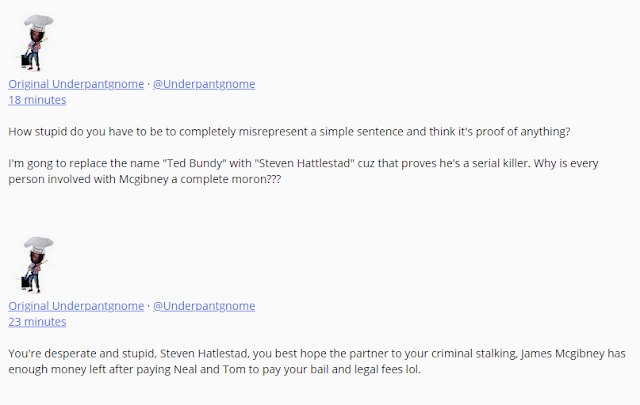 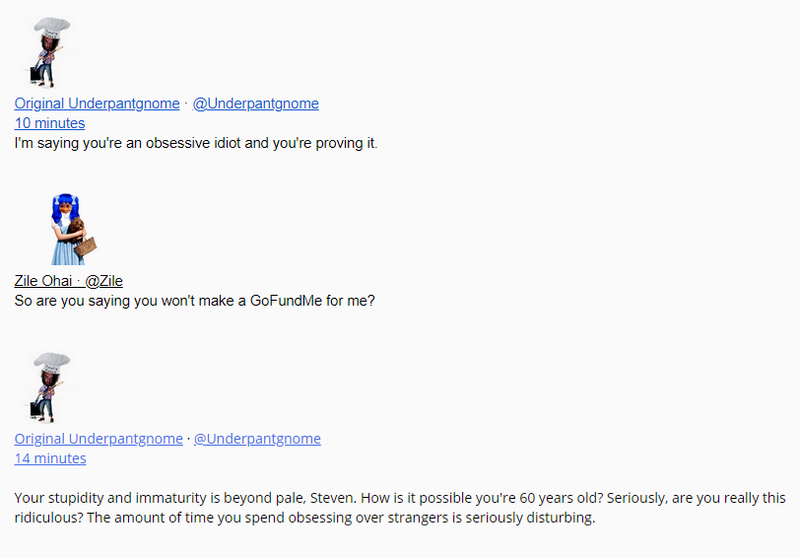 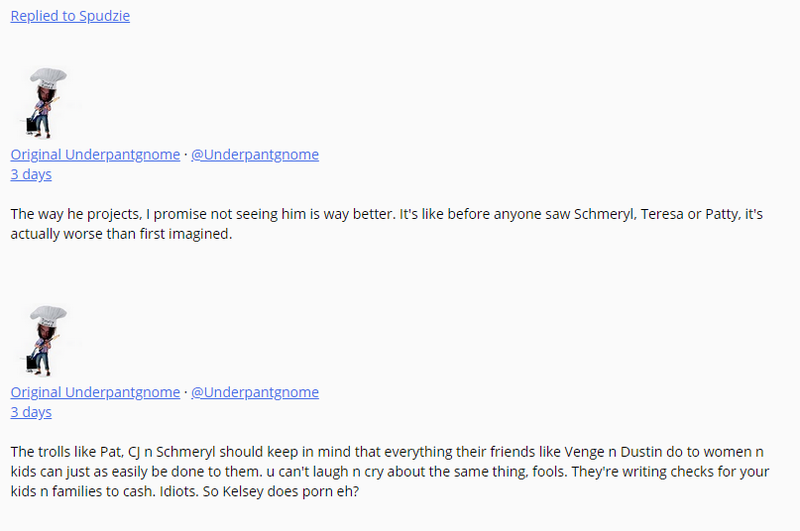 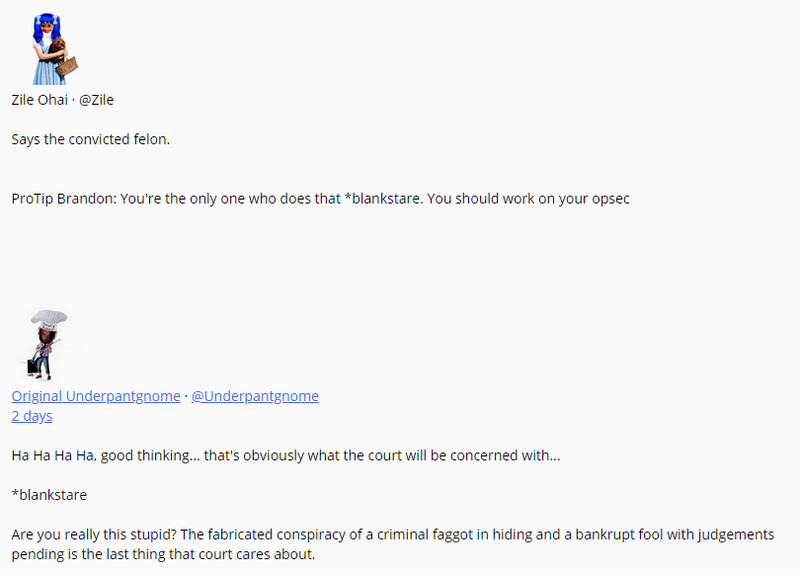 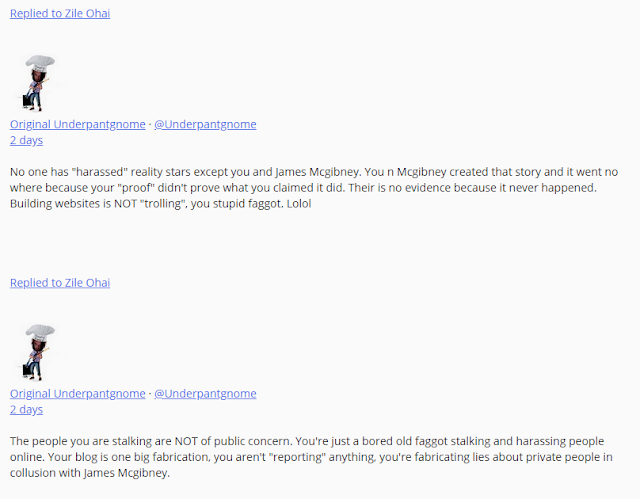 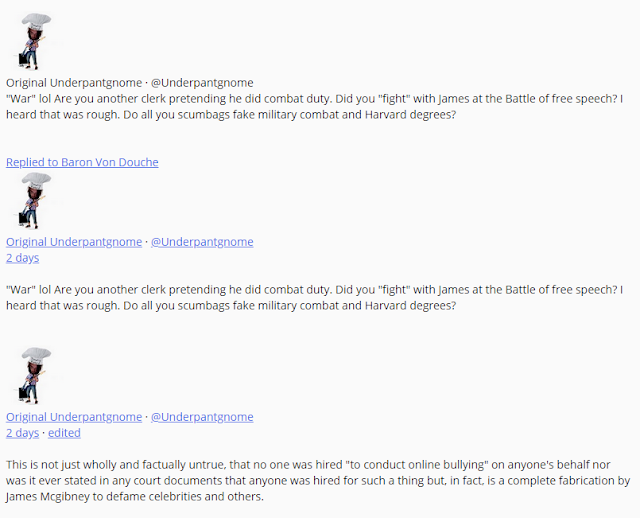 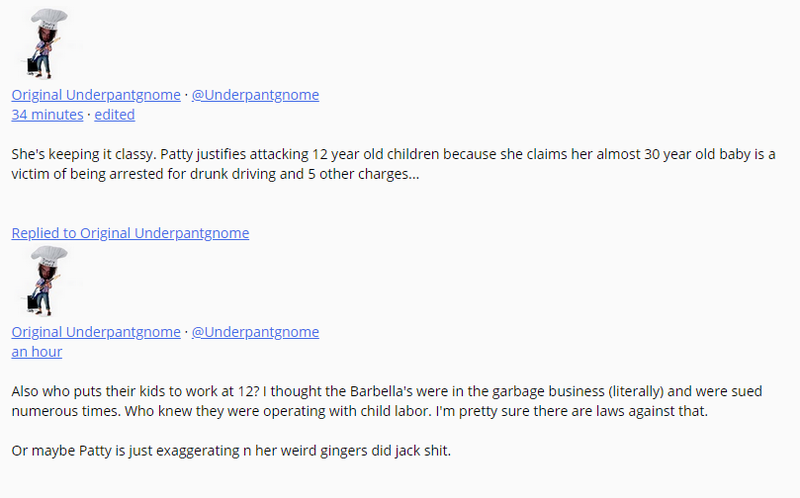 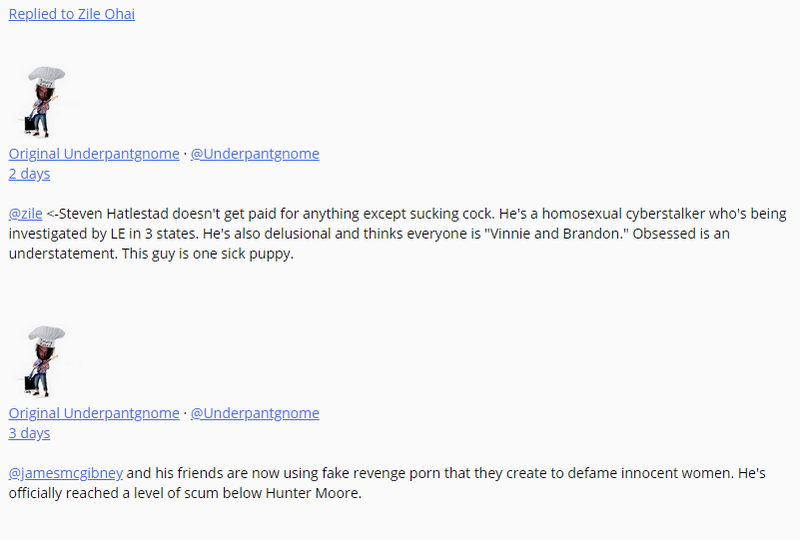 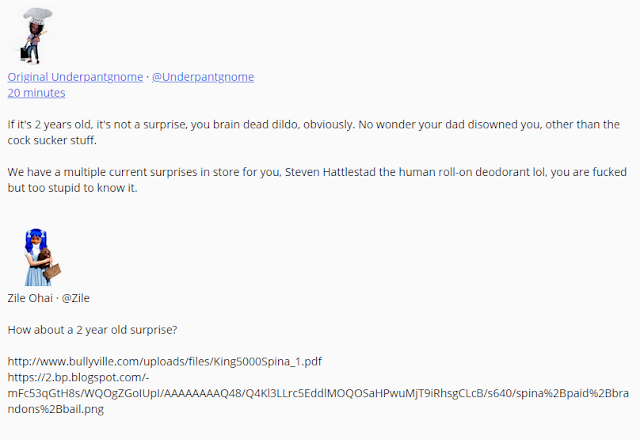 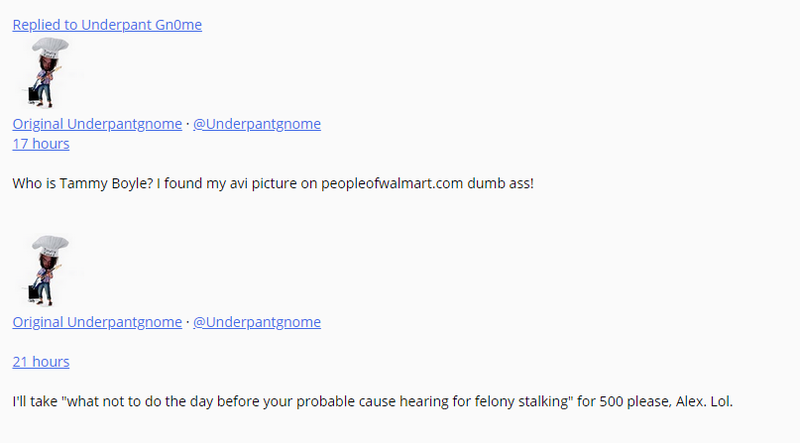 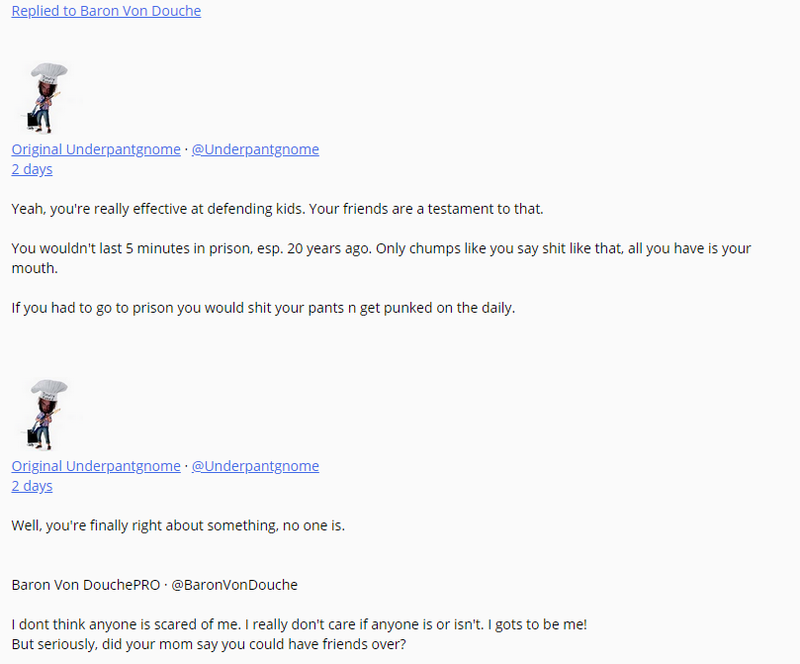 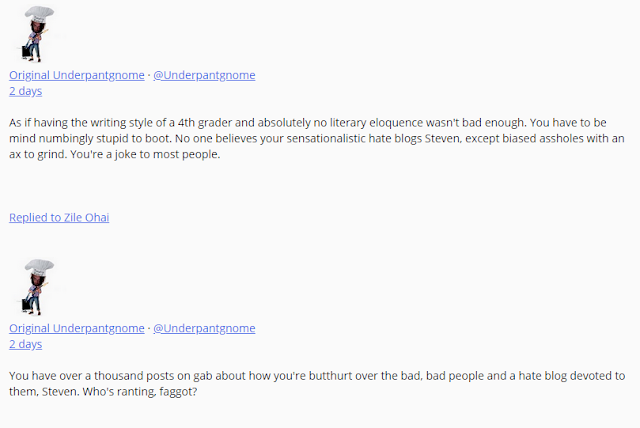 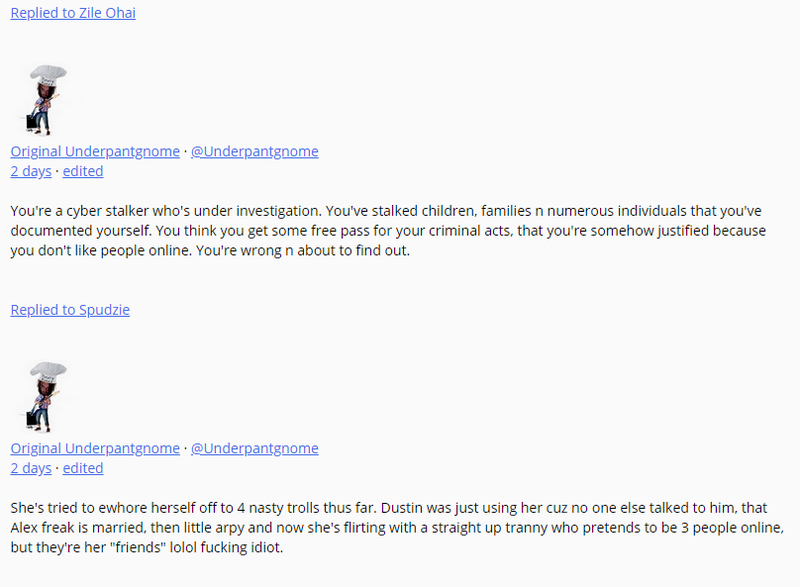 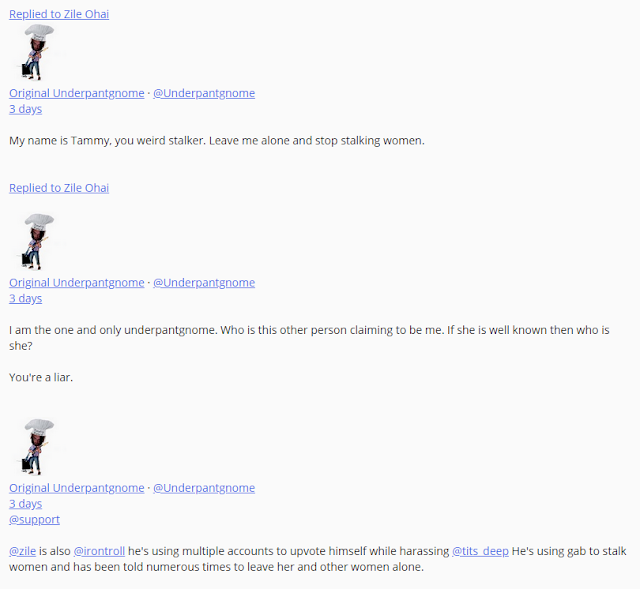 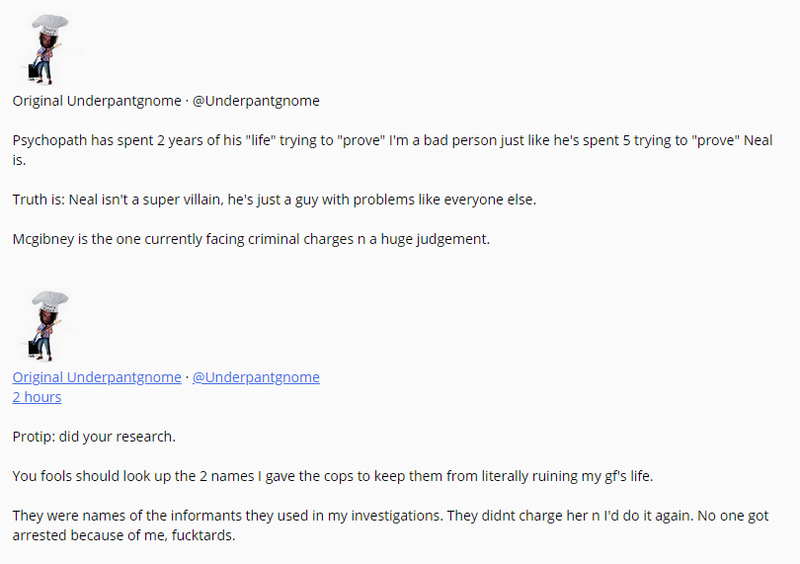 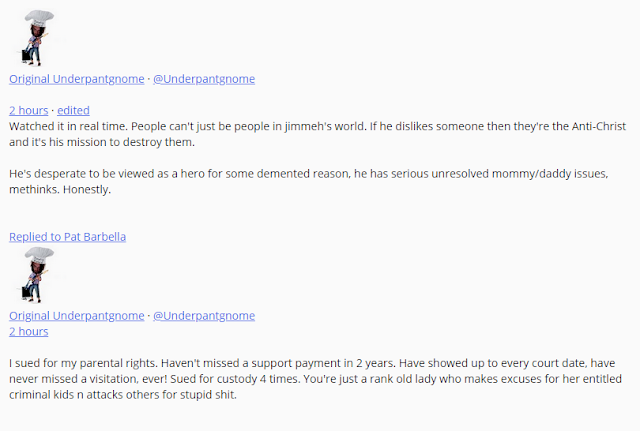 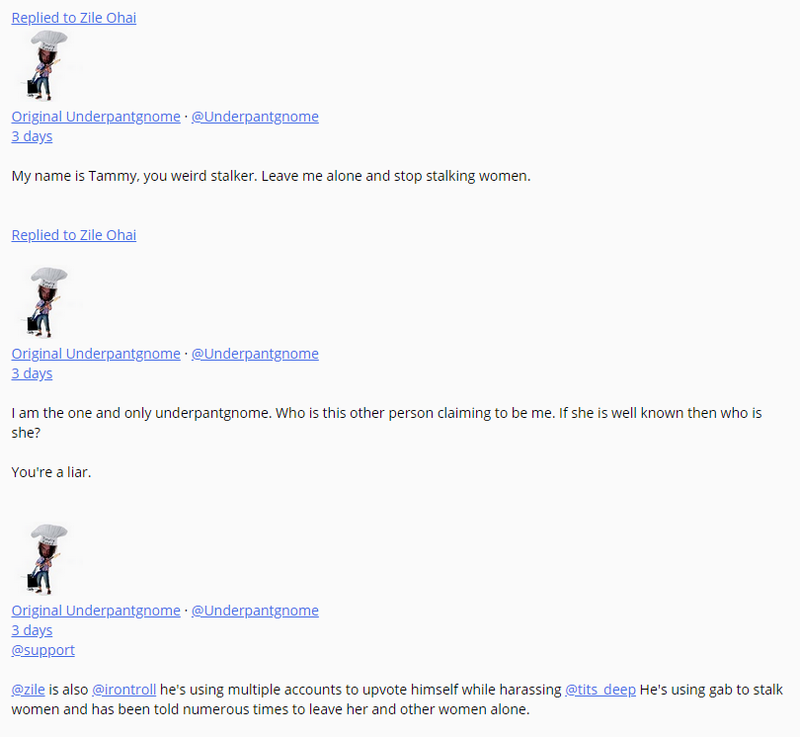 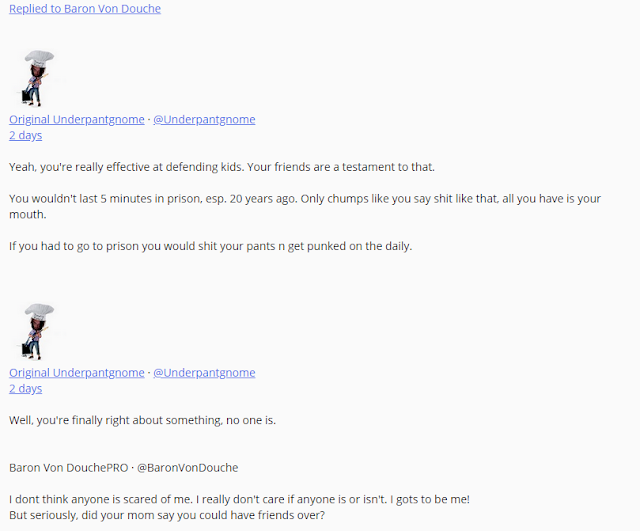 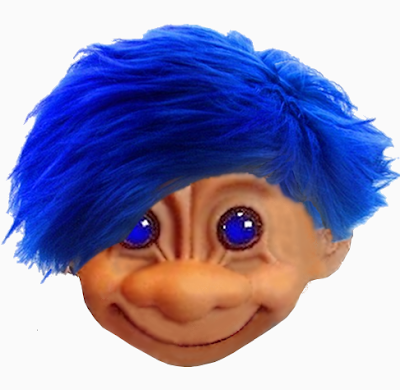 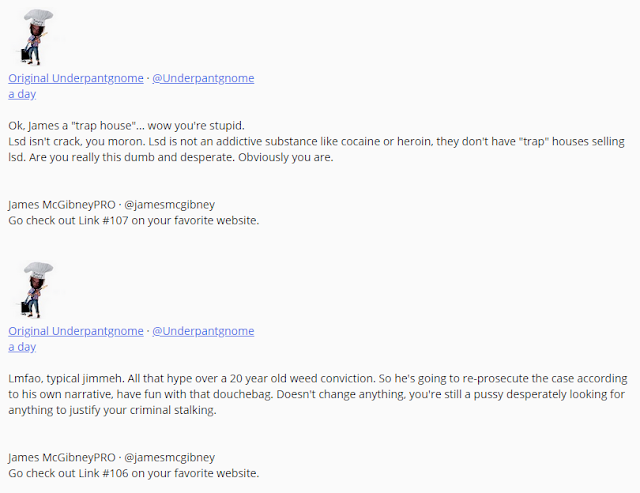 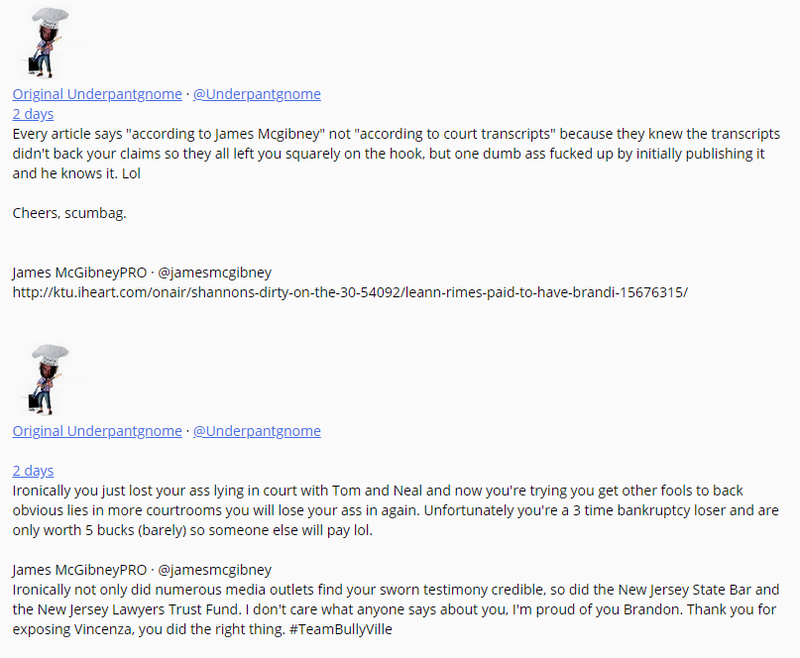 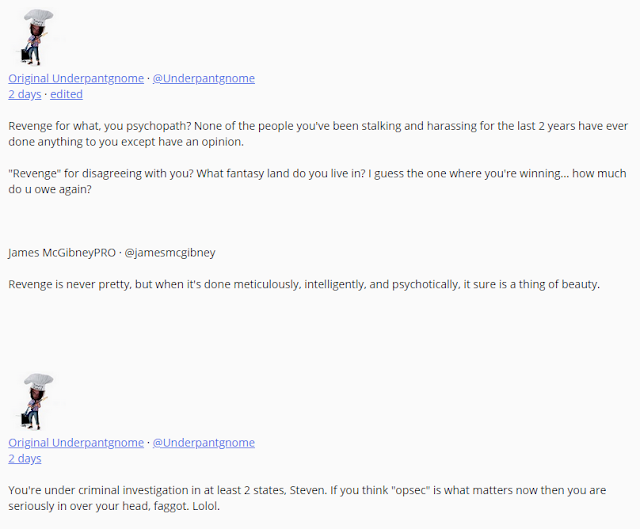 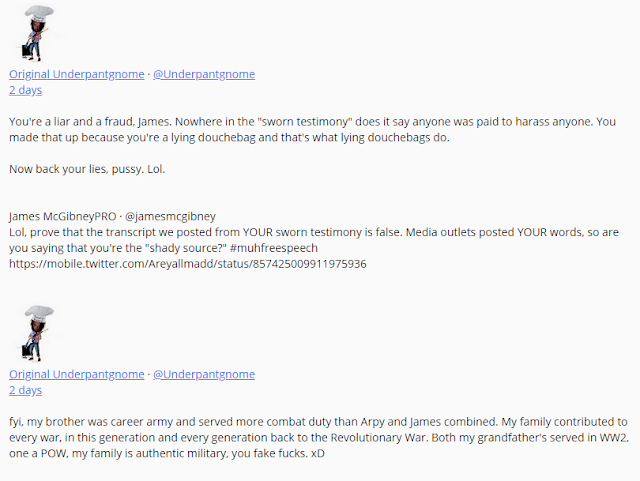 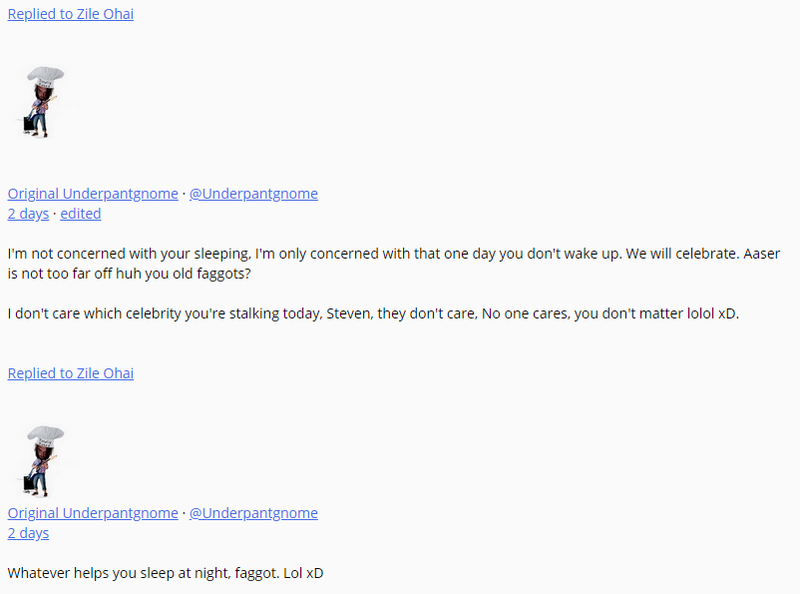 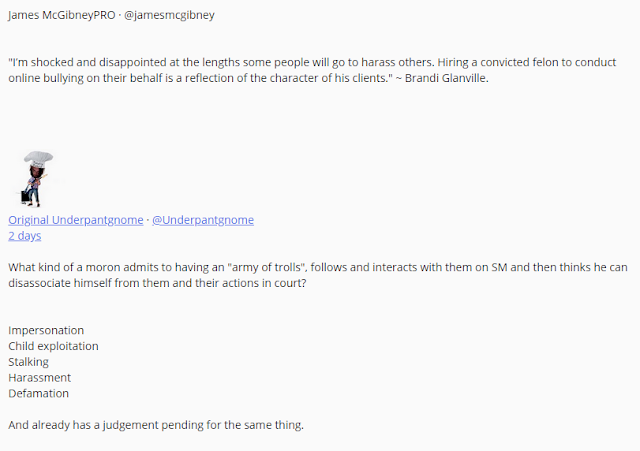 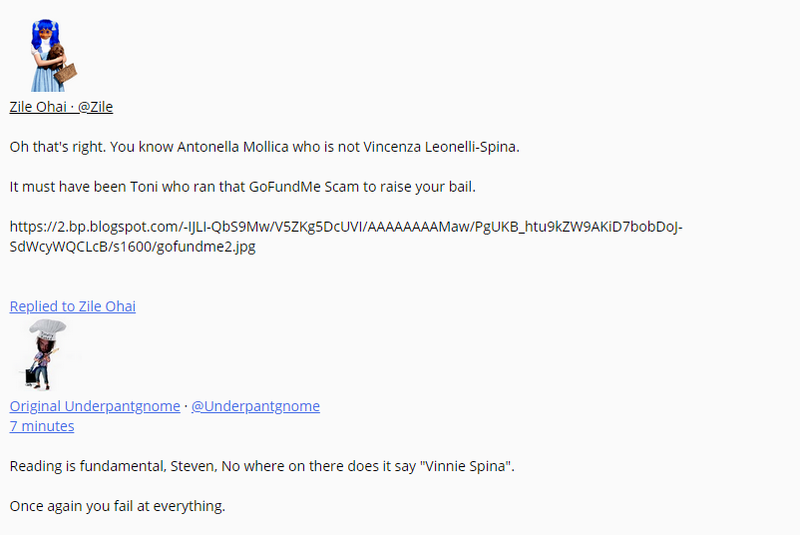 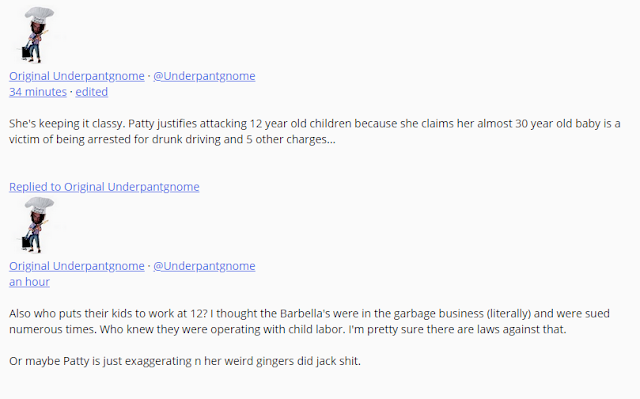 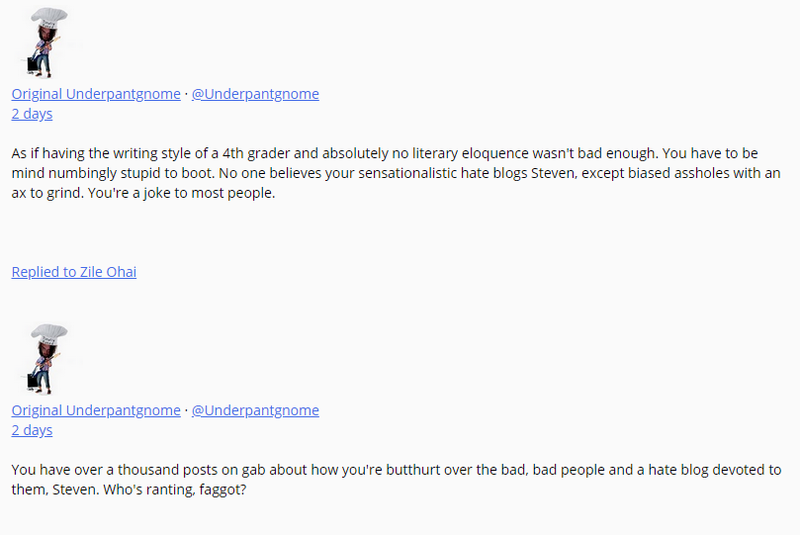 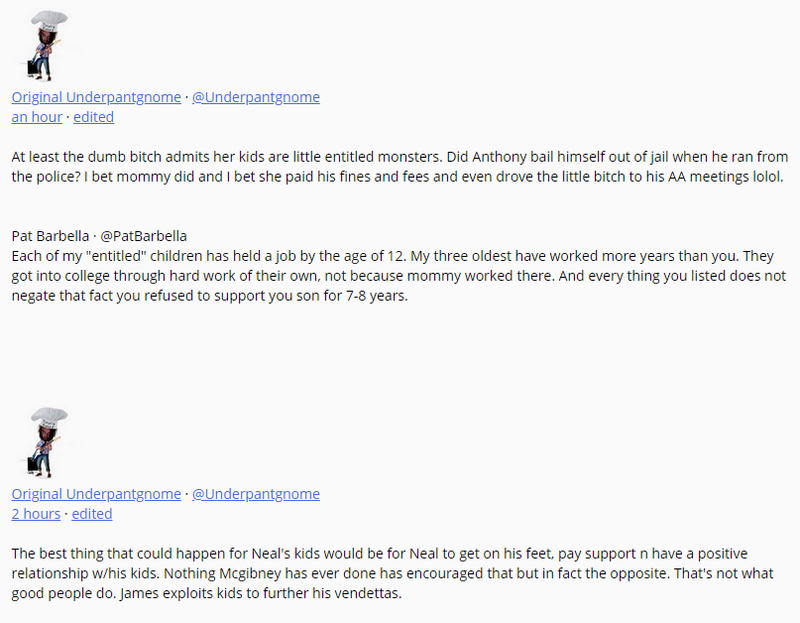 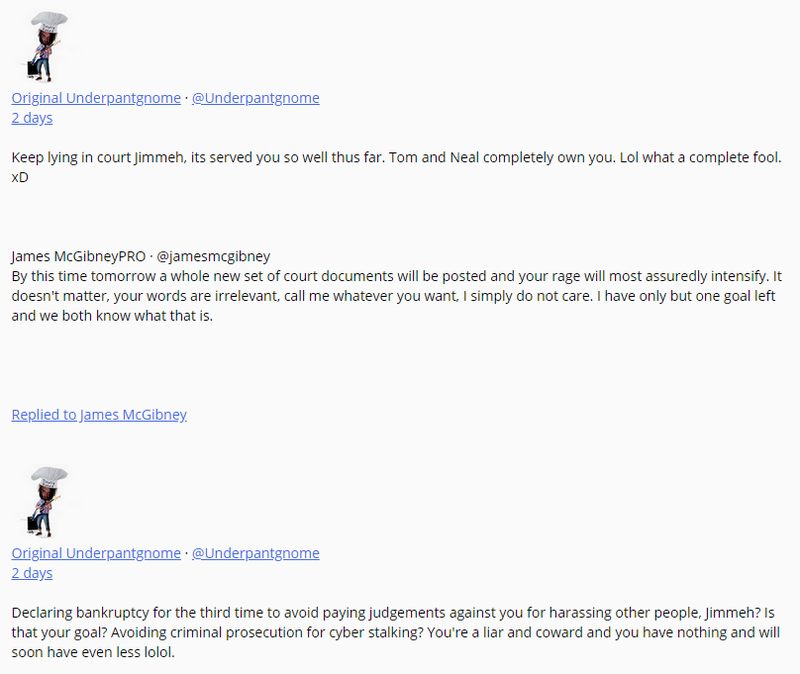 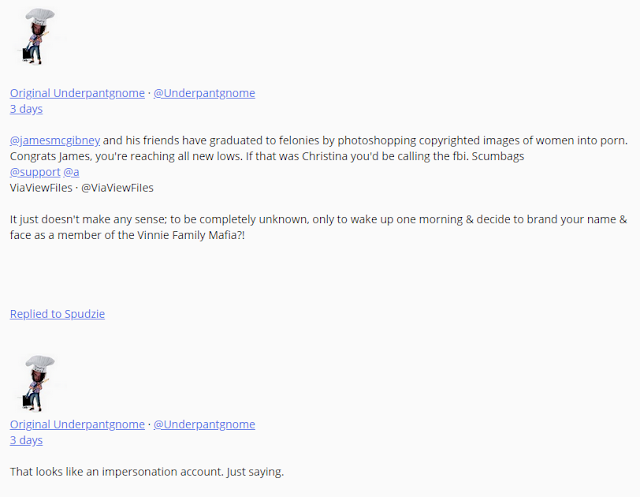 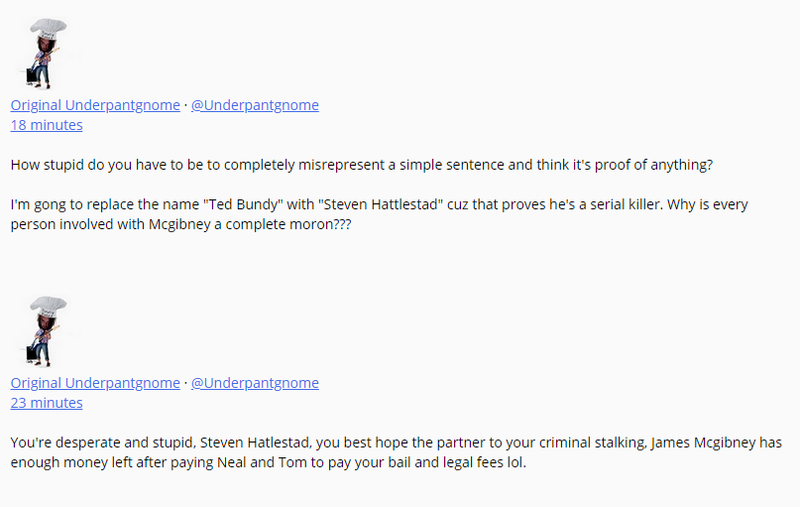 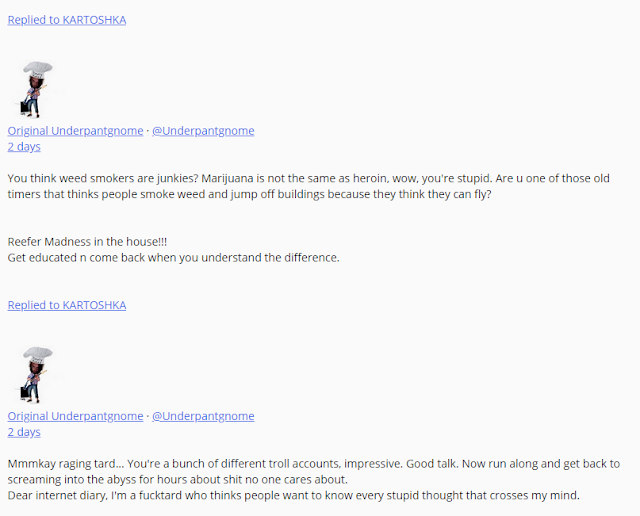 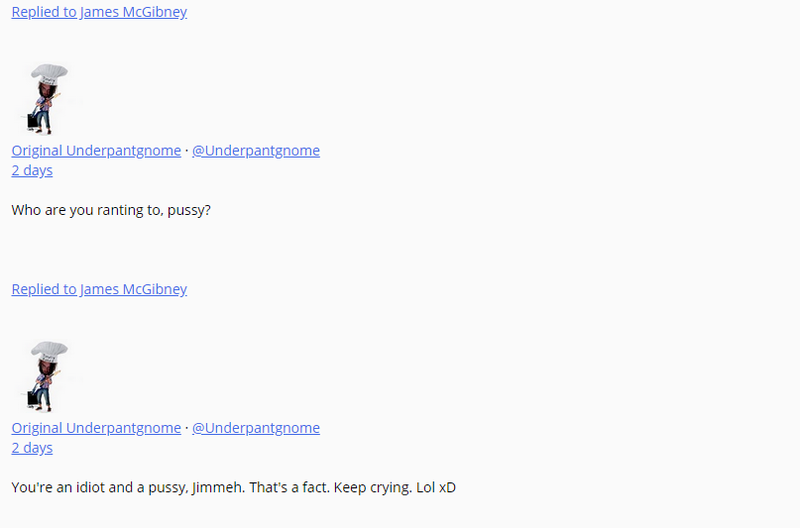 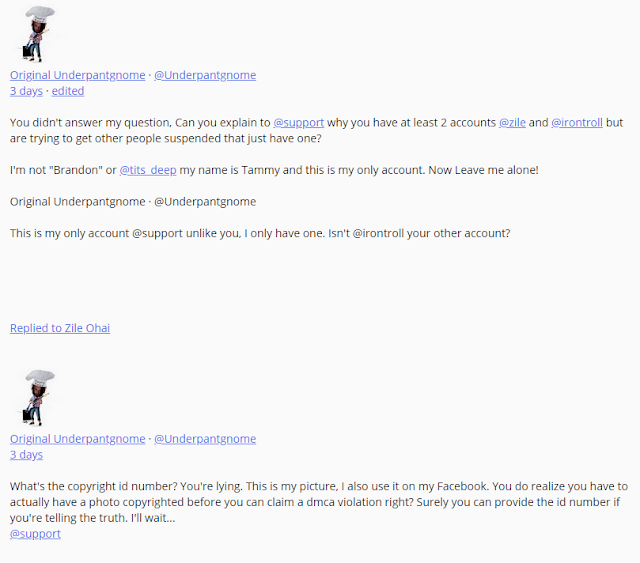 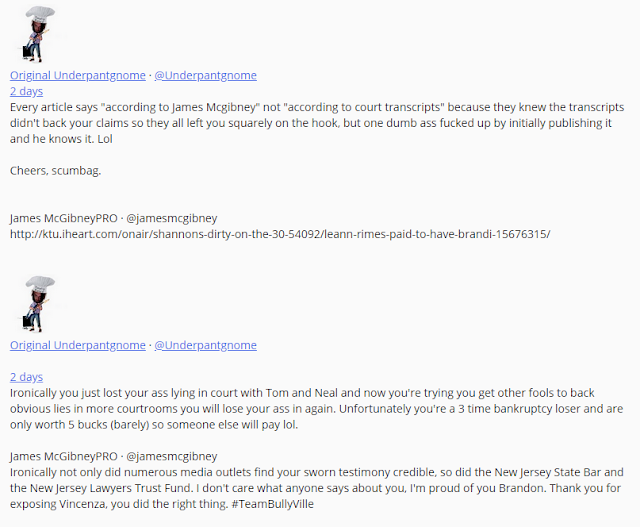 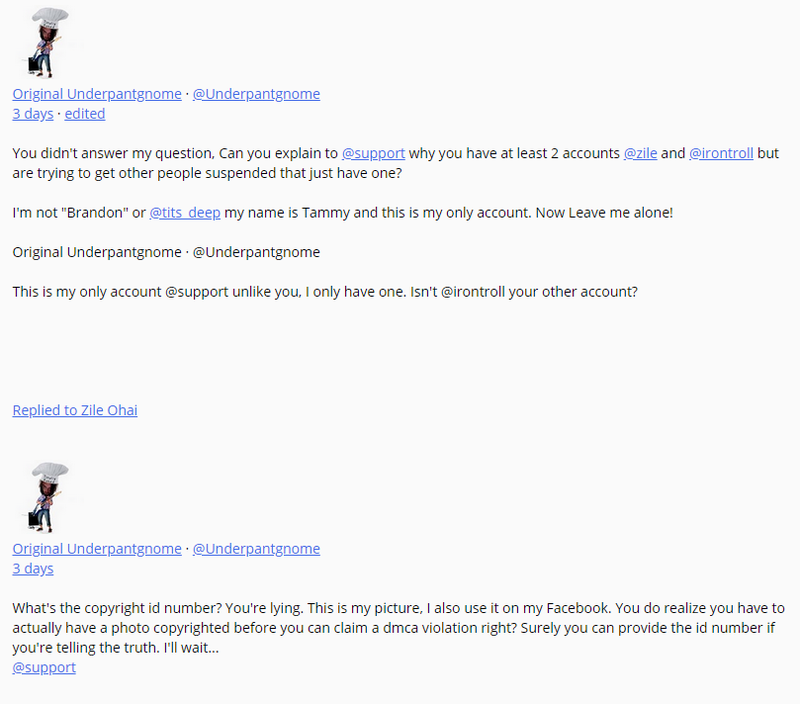 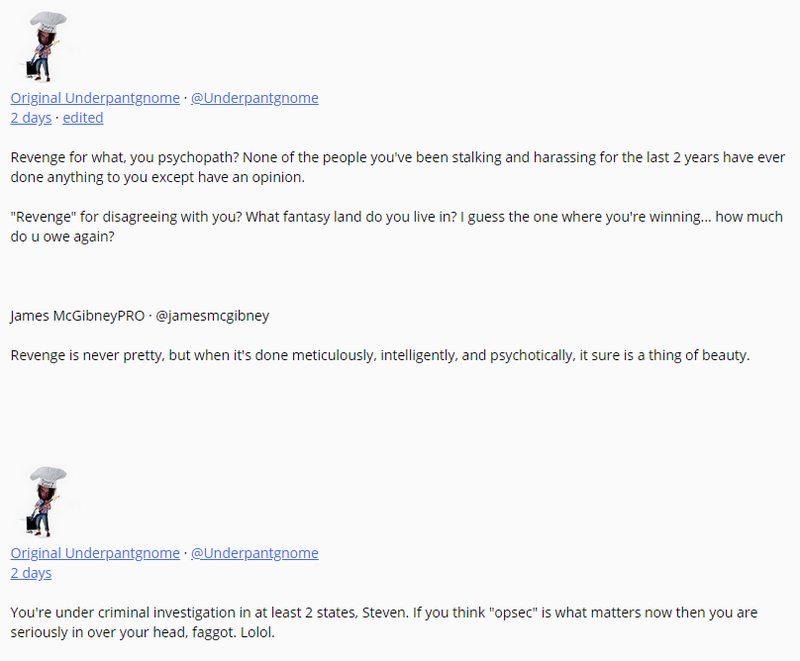 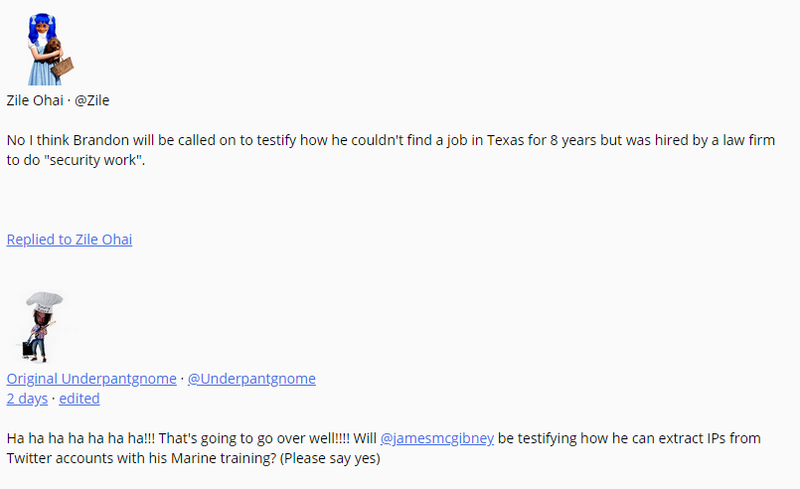 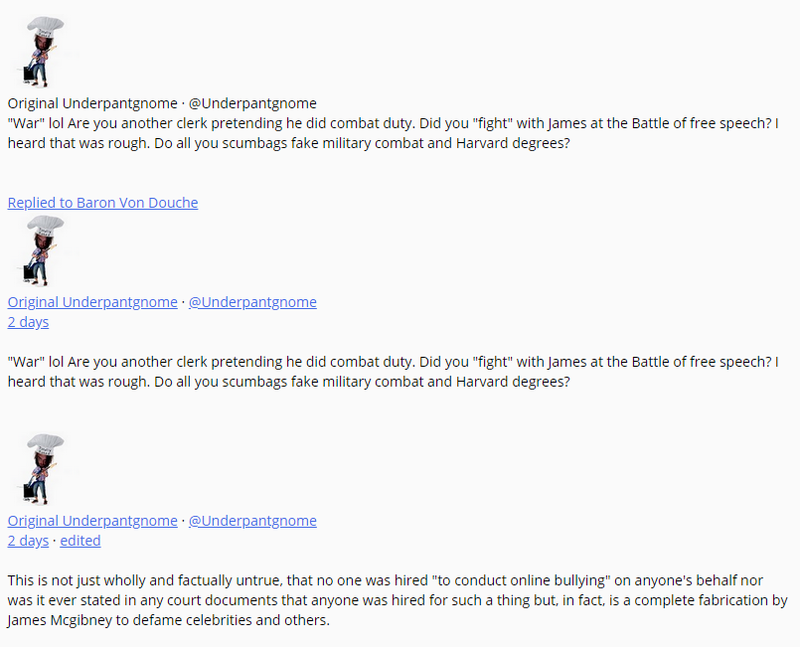 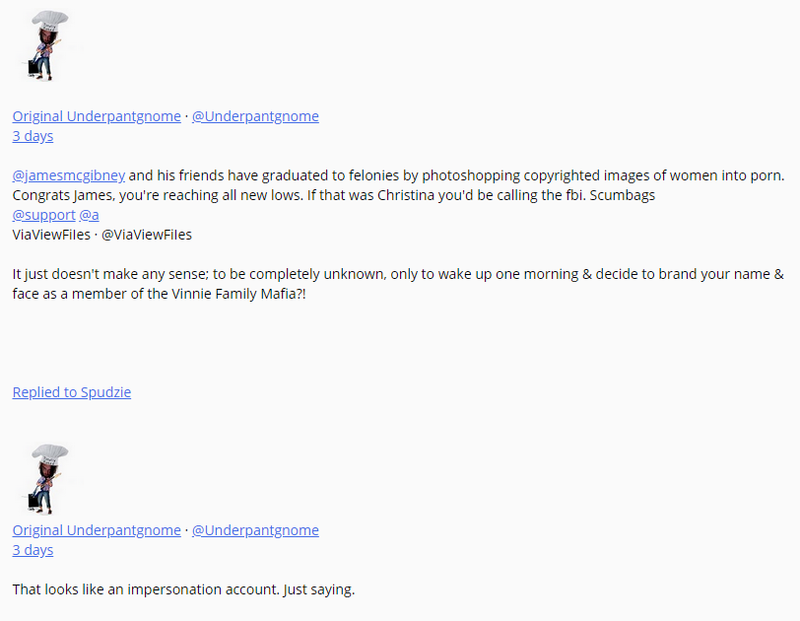 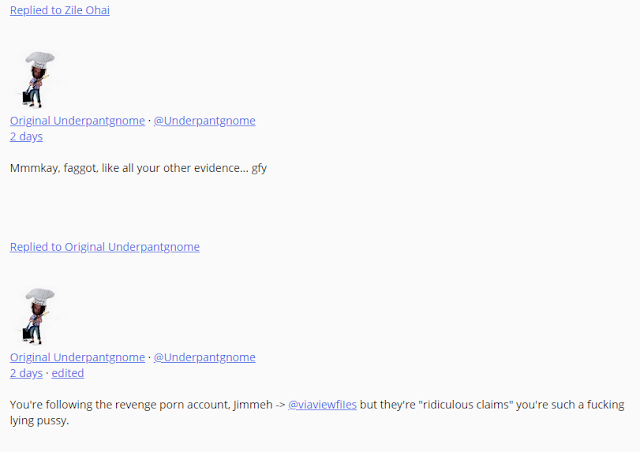 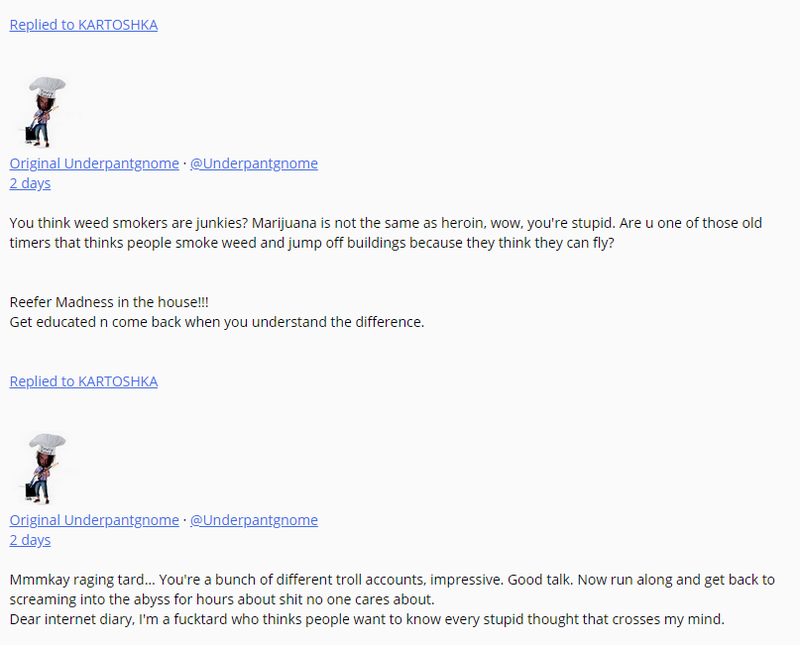 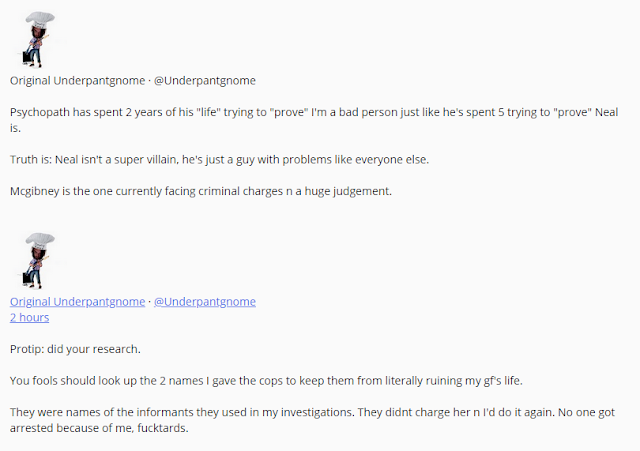 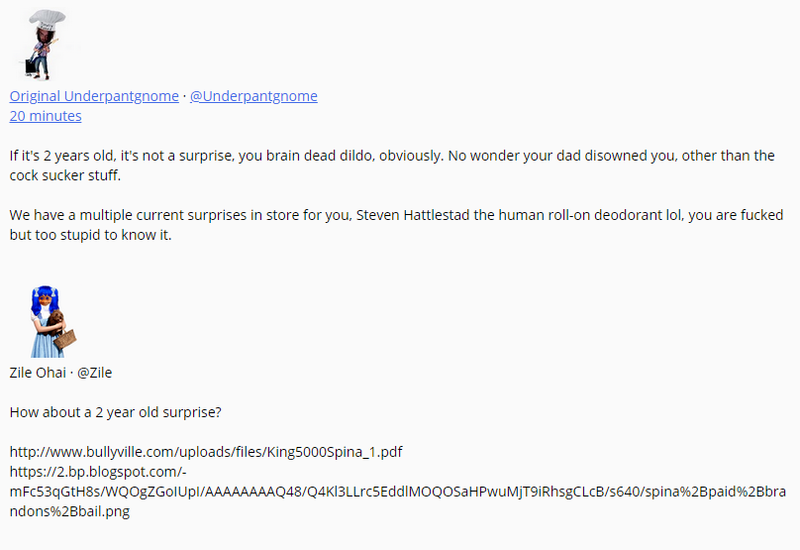 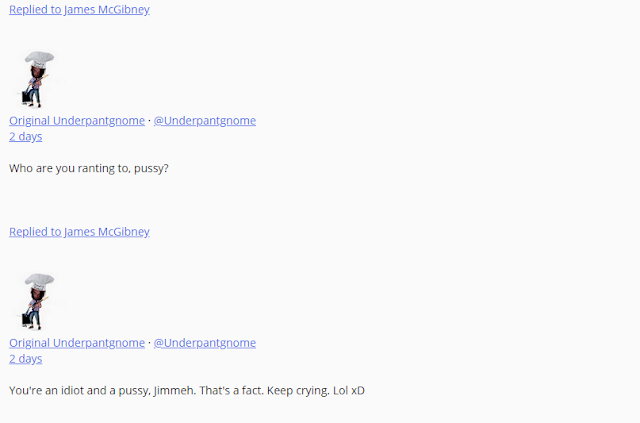 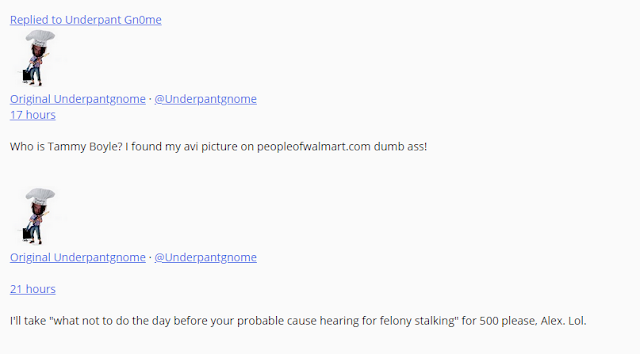 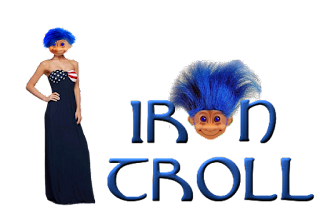 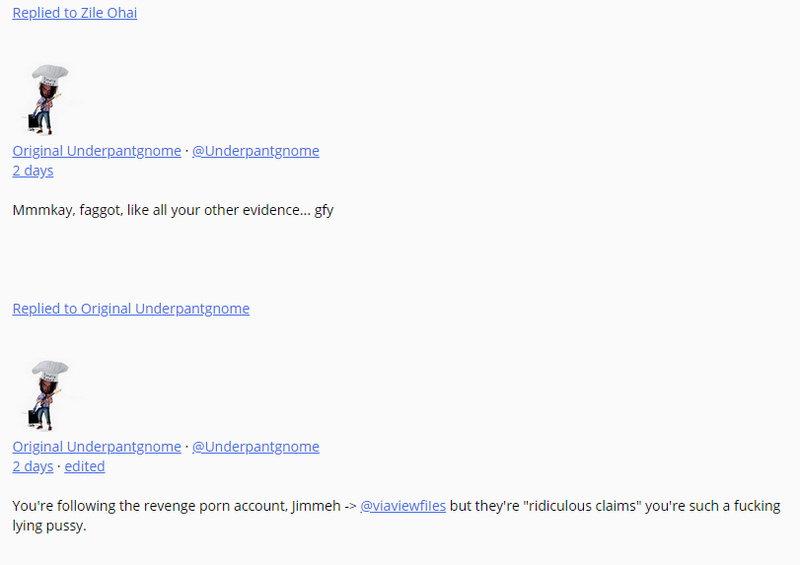 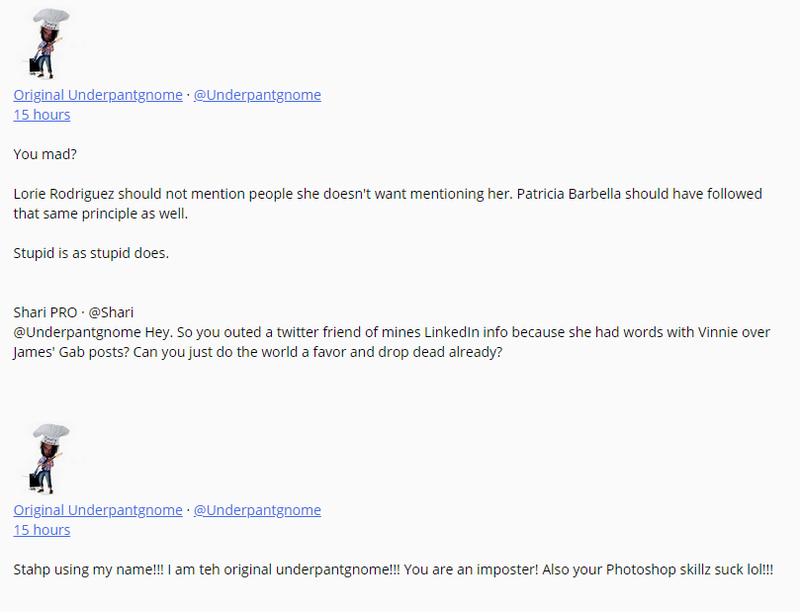 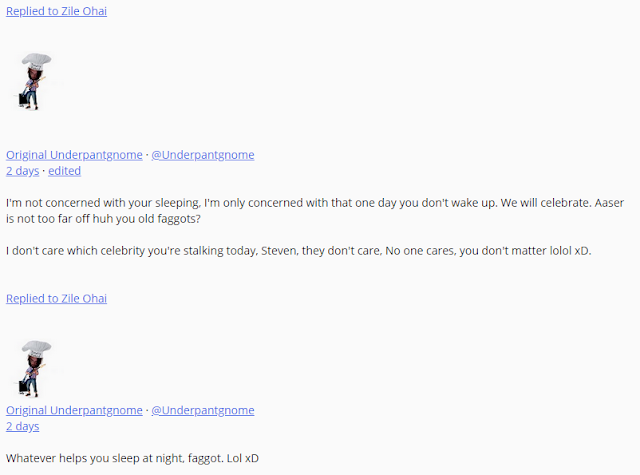 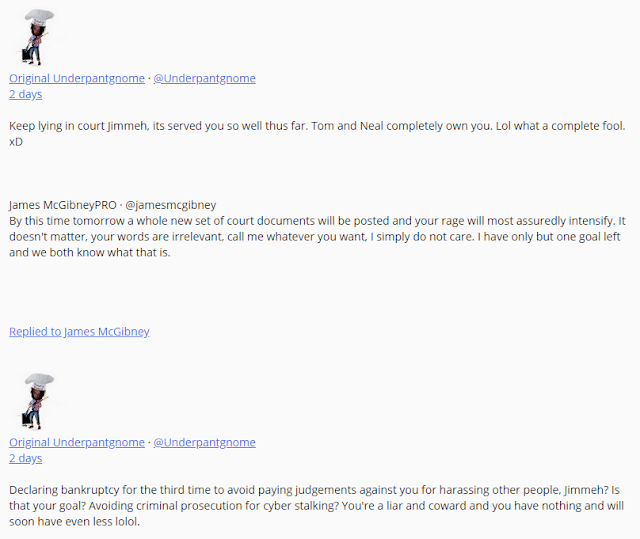 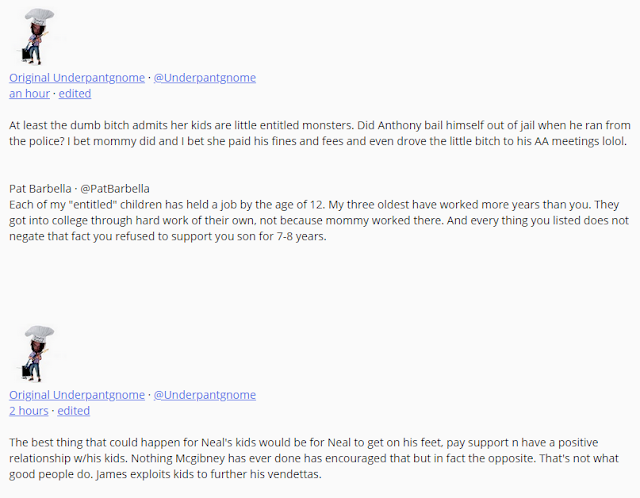 The account name, UnderpantGnome may sound familiar to you, there was a well known account by that name on Twitter. 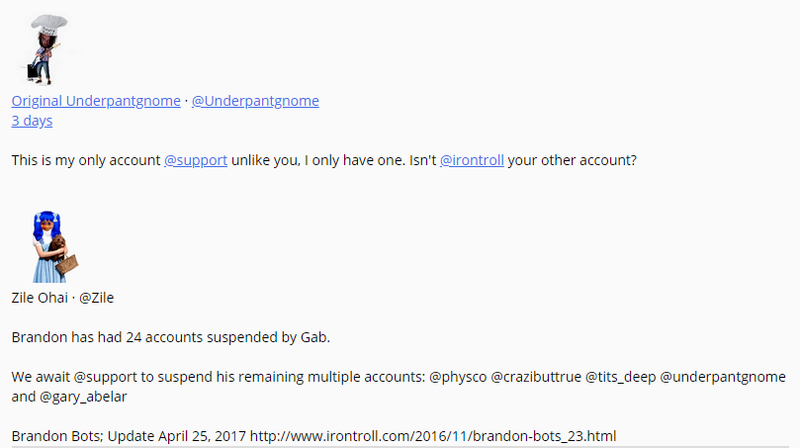 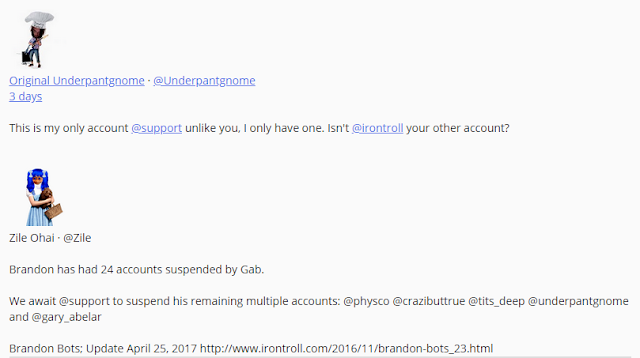 Brandon stole the name for Gab.ai but naturally his account didn't last long before it was suspended. 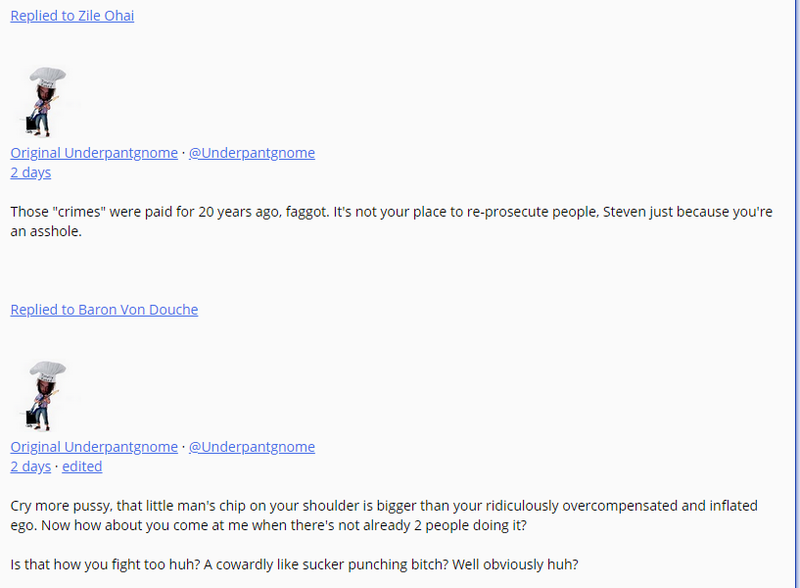 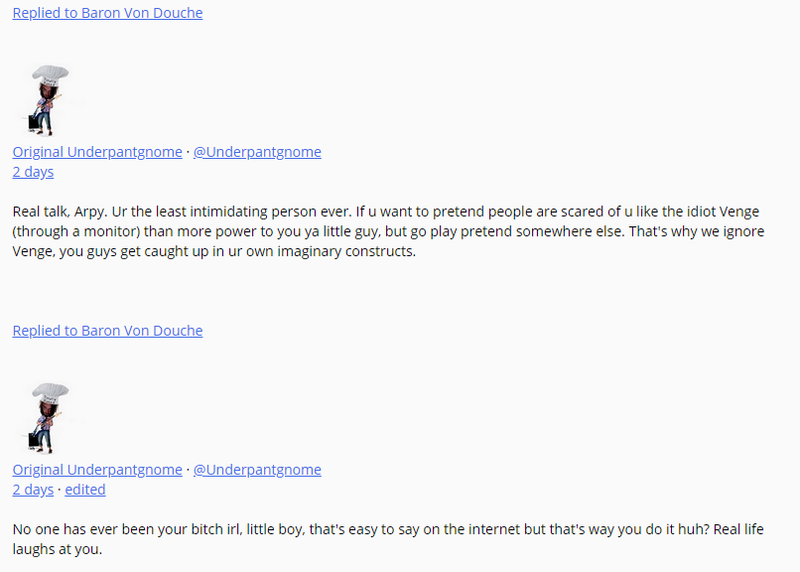 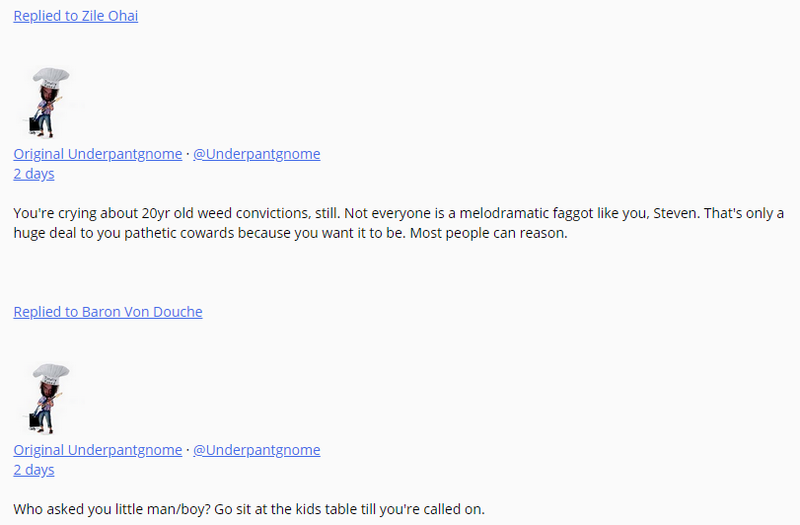 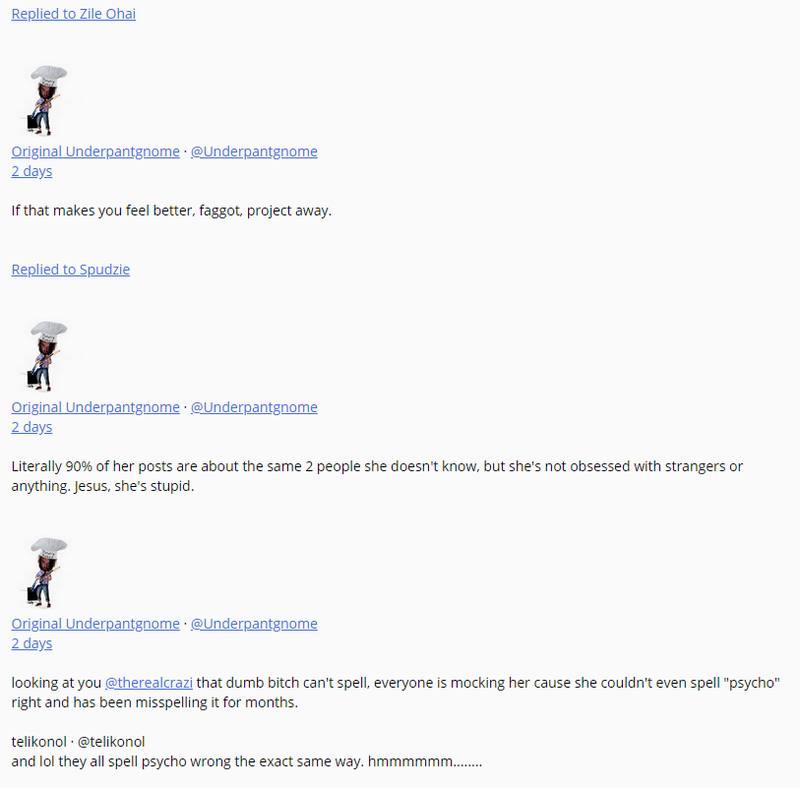 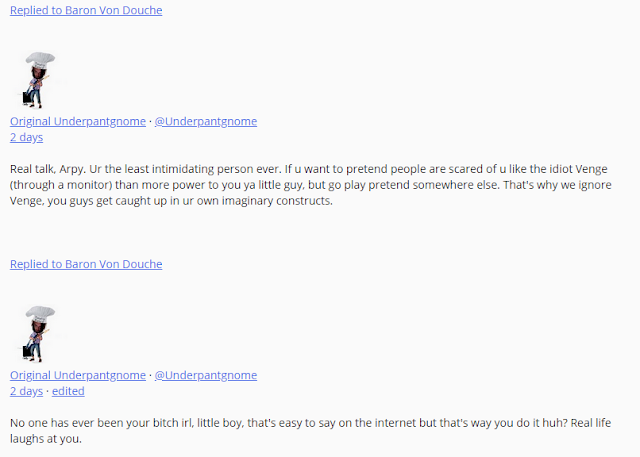 Brandon has this idea that being abusive makes him appear macho but he just comes off as being a douche. 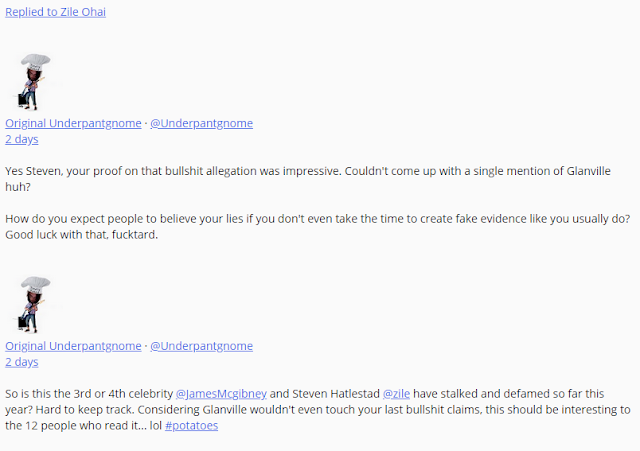 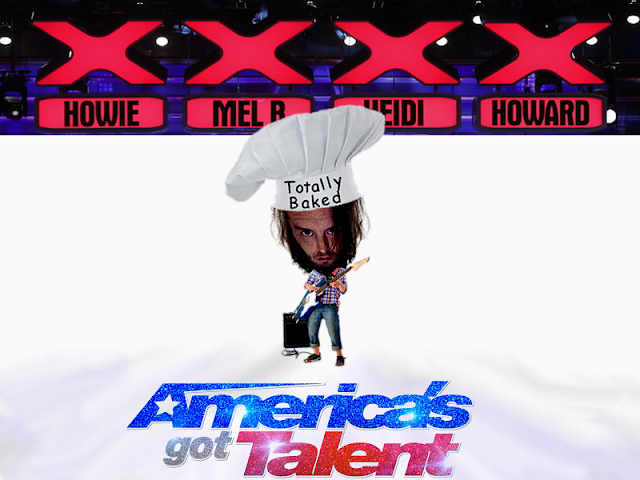 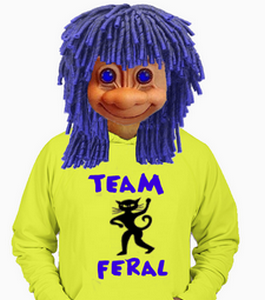 The timeline is below the commercial break. 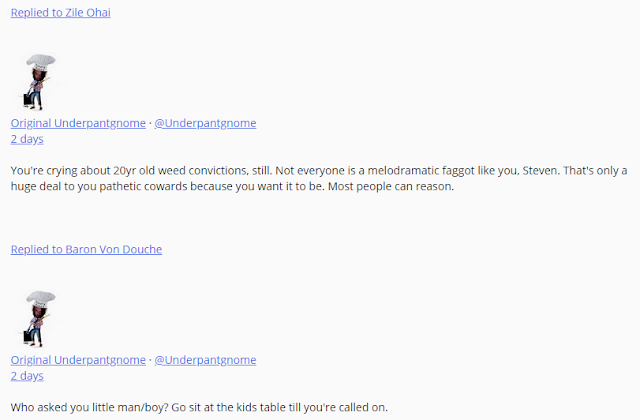 As you read his posts you'll see how obvious his homophobia and misogyny are.